What is one key area that people have problems with when buying a new home? The process of picking out everything. Many builders will send you to one of their homes that is currently in construction, ask if you like it, then send you all around town to talk with their vendors about what they can offer you? 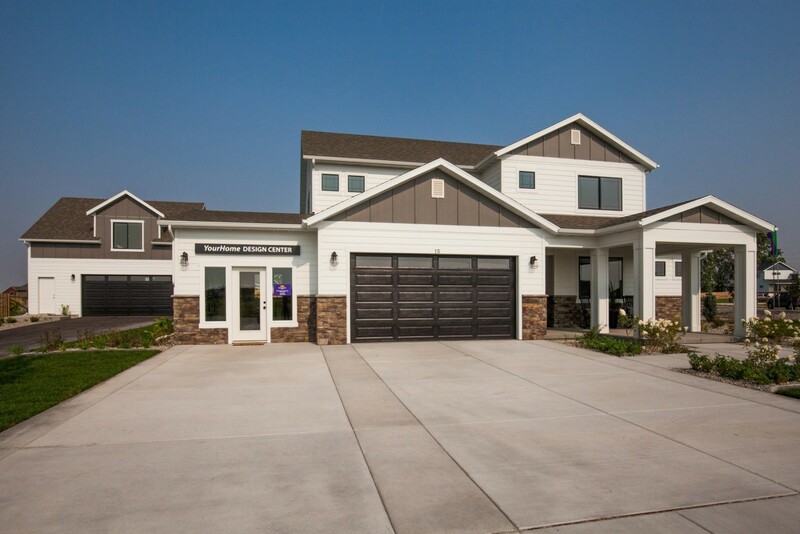 It takes weeks of driving, picking, repicking, budget crunching and more before your builder can even start ordering some of the parts to your house and that pushes your timeline even farther back.Well that is not the case with Sunrise Homes of Montana. 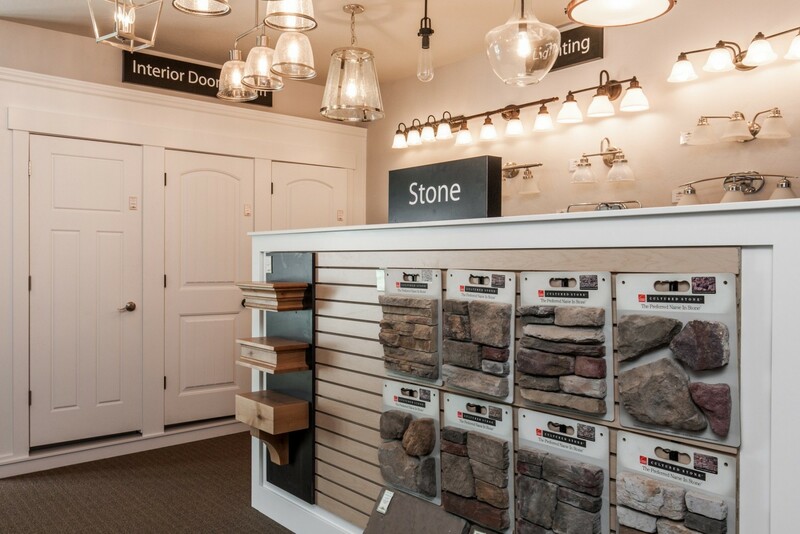 We are one of the only Bozeman builders to have a Design Center! What does having a design center mean for you? Our design center offers you the chance to have a single location to sit down and review all the options we offer, see all the samples of the product, and know exactly what is going into your home. Want to know what your faucets look like? We have them. Want to know what your window trim will look like? We have to too. Our design center is set up to ensure that you know what is going into your home without the guess work and trips all across Bozeman. Our Design Center goes beyond just a warehouse for finishes because part of the process of working with Sunrise Homes is working with an interior designer. After selecting your options and ensuring that your budget where you want it to be you will meet with me, Mark Dwyer. I'm the interior designer for Sunrise Homes and I'm here to ensure that your house looks great. This part of our process is called the Color Selection and it's where the fun part is! During the Color Selection you and I will sit down and figure out within the options that you have selected what your home is going to look like. 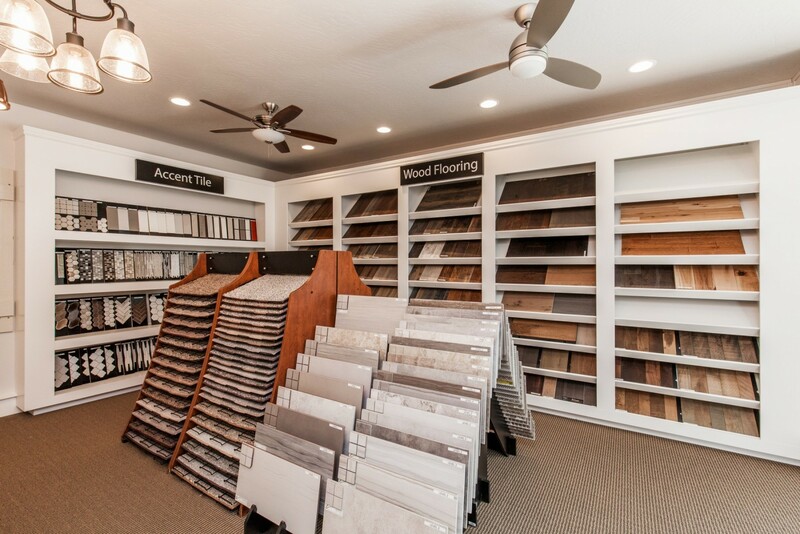 During the selection process we will pick everything for your house, from paint color and cabinet finish, to flooring color, and even weather your drywall corners are round or square. I will work with you to ensure that your home looks great and is the best home you can get well staying within your budget. To make our process the best it can possibly be, we want you to know that our Design Center is open anytime during our normal business hours (Wed - Sat 10-5, Sun 12-5). If you ever have any questions about our homes, our options just want to check out what we have to offer you are more then welcome to stop by and take a look around. I (Mark) am also available to take you on a tour of any of our floor plans we currently have in construction. So come say hi, have a cup of coffee and take a look at all our options! Want to take a tour of the Design Center and see all the amazing options that Sunrise Homes has to offer?